Trip to Leh can be planned best by deciding the number of days you have at hand. It will be crucial to determine whether you have an option of a road trip or not. Anything below 10 days will make your road trip experience quite hectic. The two routes that bikers generally take for the road trip to Leh are either via Manali (490 kms) or via Srinagar (440 kms). 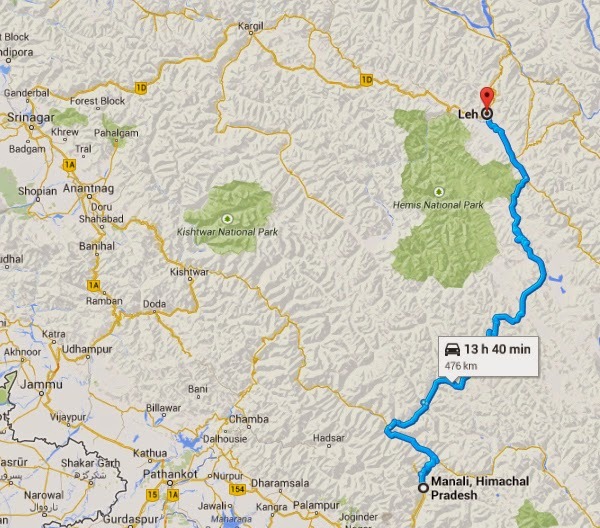 June to mid-October is the time when the highway between Manali and Leh is open and advisable for commuting. The distance in Himachal Pradesh between Manali and Sarchu is 230 km and the distance in Leh region from Sarchu to Leh is 260 km. The journey will take two days and the first timers can take a pit stop at Keylong. On the journey to Leh, you will cross Rohtang Pass, Jispa, Baralacha La, Lachulung La and Karu. While talking to our driver in Leh, he told us about a bridge on the Manali route getting damaged. As a result of which, riders and other commuters were stuck for more than 2 days while the army came in to rescue and restored the route. He also advised that one should also consider the road trip from Srinagar as the road is much better. The route is generally open for commuting between May and late October (depending on the weather). It’s a 2 day journey with a pit stop at Kargil, where there are enough and more hotels and guest houses to stay. Petrol availability on the Srinagar – Leh highway is way better than on the Manali – Leh highway. On the journey to Leh, you will cross Sonmarg, Drass, Kargil and Lamayuru. 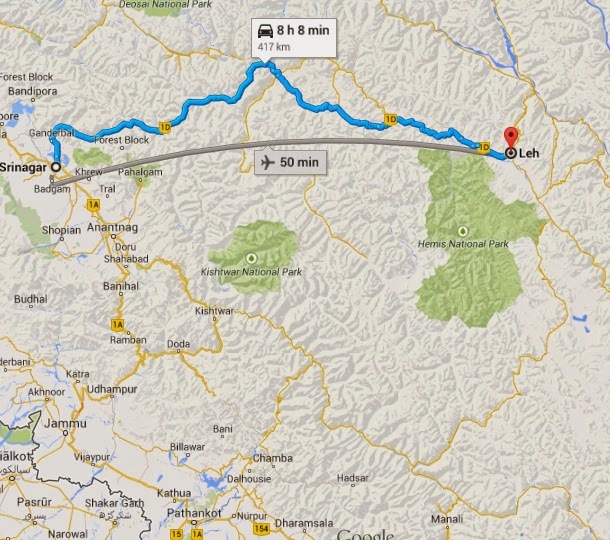 Petrol availability on the Srinagar – Leh highway is much better compared to Manali – Leh highway. However, advisable to keep a backup and carry enough petrol for the road. Mobile network on the highways is not that great. The reception would be better around Srinagar and Manali, but will seldom be weak on other spots, but some of the places will have pay phone available. Before embarking on the journey, if you are riding your motorbike, ensure you check on the availability of mechanics in case of a breakdown. If you are taking a flight to Leh, ensure that you book early to get a good deal. The only operators flying to Leh as of now are Jet Airways, Jet Konnect, Go Air and Air India. Be it a direct or hop-over, you will land at Kushok Bakula Rimpochhe Airport in Leh before lunchtime. Ensure you are carrying your passport ID with you. No flights ply to and from the airport in Leh post lunchtime. 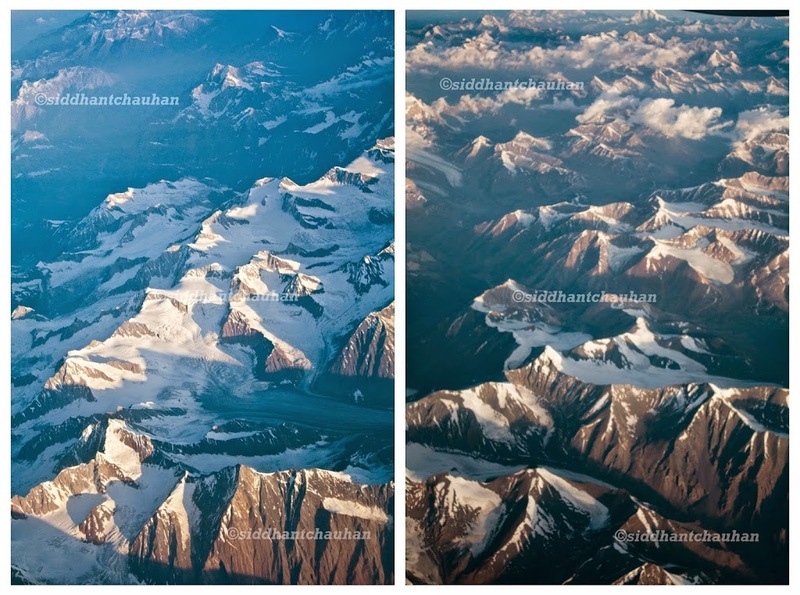 The areal view of the snow clad peaks is mesmerizing and you can get a good view if you have pre-booked a window seat or if you want to take your chances, reach the Airport early for check in. If your window seat is between 10 and 22, you might have to make some adjustments to exclude the wings from your frame. Once your flight is about to land, you will not be permitted to take any pictures owing to security reasons (it is an army base). The airport has a pre-paid taxi counter from where you can take a ride to your hotel. It would cost you anywhere between INR 250 to INR 350 if you are living near the Leh market. 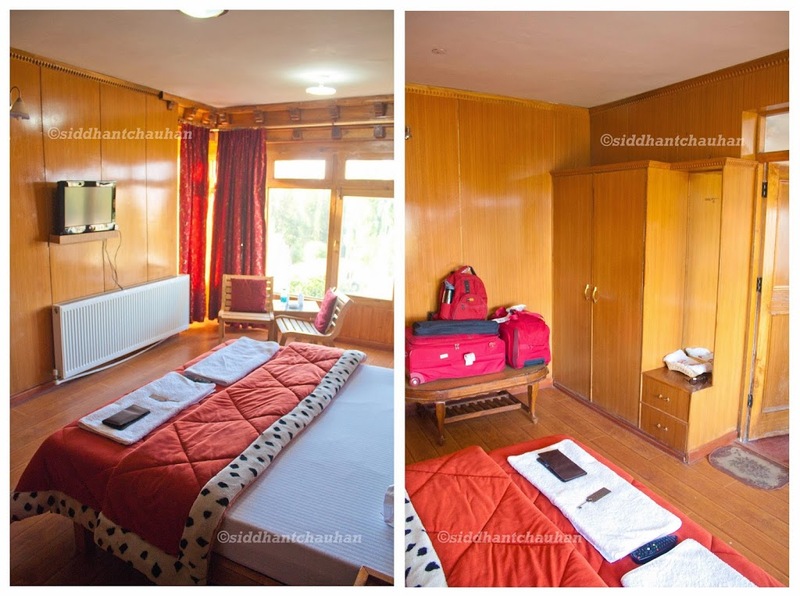 We traveled to Leh between August 11th to 19th and based on the temperatures then, you can pretty much pack for a summer destination and throw in a sweatshirt for the evenings / night. The only time we required something really warm was Khardunga La pass for few minutes and then at Pangong Lake (you definitely need a warm jacket here). Carry some sunscreen and a cream to moisturize your skin if it is sensitive. You would be moving to an altitude over 10,000 feet (Leh is at 11,562 feet) within a span of few hours and if this is your first trip to a high altitude, you do not know how your body will react to the lack of oxygen. AMS (Acute Mountain Sickness) is common at high altitudes over 10,000 feet as Oxygen in the air reduces by roughly 40% at such heights. Some of the early symptoms of AMS are headache, breathlessness and you will feel dizzy. Hence it is strictly advised that you do not exert your body on the day you land in Leh and rest through the day. It is also good to consumer enough water to stay hydrated and liquor is an absolute no. There are some medicines which we are listing down, based on the various health issues our group experienced during the journey. And some of the medicines were prescribed by our doctor just in case we face any such issue. But of course, consult your doctor before carrying these along in case you have certain allergies. Leh was earlier the capital of the Himalayan Kingdom of Ladakh and now is a district of Jammu and Kashmir. 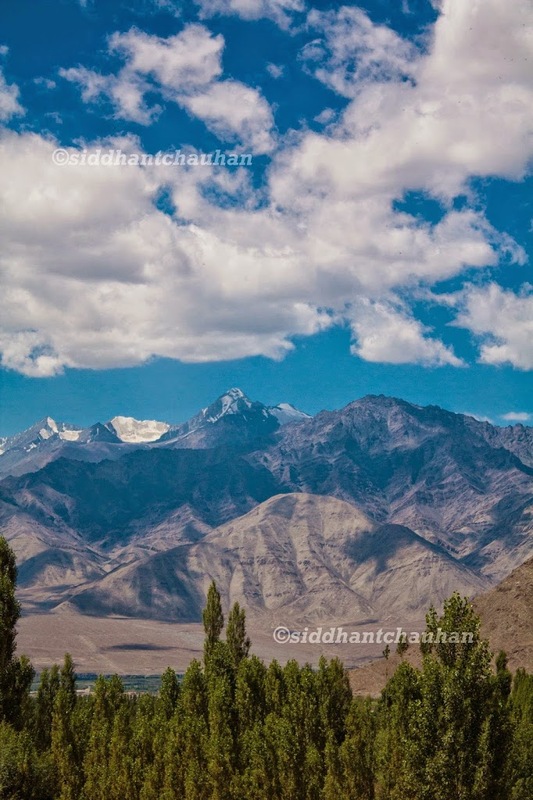 With an area of 45,110 sqkm, Leh is the second largest district in India after Kutch in Gujarat. In the ancient times, Leh was an important stopover on trade routes along the Indus Valley between Tibet to the east, Kashmir to the west and also between India and China for centuries. The main goods carried were salt, grain, pashm or cashmere wool, charas or cannabis resin from the Tarim Basin, indigo, silk yarn and Banaras brocade. 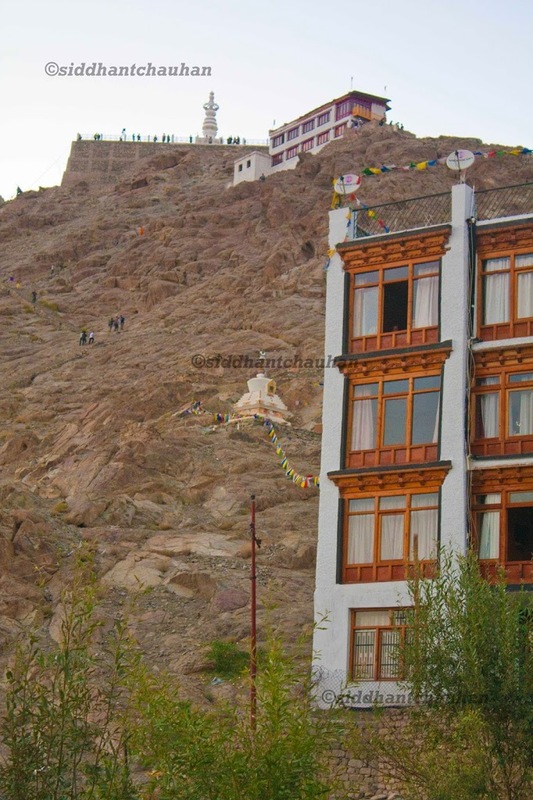 Leh is an extremely safe place for tourists, especially women. The residents in general are warm, honest and helpful. You will have stay options ranging from dormitories to hotels and guest houses, depending on your budget. Throughout our stay in Leh we stayed at Oriental Hotel, which is right next to Shanti Stupa and merely 15-20 mins walk from the market. Operating since 1987, it is now run by the second generation of the family. Their hotel is divided into three blocks based on the category of rooms and tariff. Building “A” has economic accommodations with shared bathrooms for budget travellers. For medium price-range budget, you have Building “B” with private bathrooms. Finally there recently constructed Building “C” has deluxe accommodations, in which each room has its own en-suite bathroom with shower and toilet. They have a small garden where they grow fresh vegetables, also used for cooking and serving at their dining area. They have tables set-up even in the garden for people who prefer outdoors. The menu here is vegetarian but they also serve egg in breakfast. You can choose your meal from Ladhaki, Chinese, Western and Indian cuisines – right from baked beans and chole bhature to Ladakhi roti. Heating and water are run by our eco-friendly solar systems in the premise. Each room is provided with heater, except block C, where heating is centralised. Laundry service and landline STD/ISD calling facility is also available. 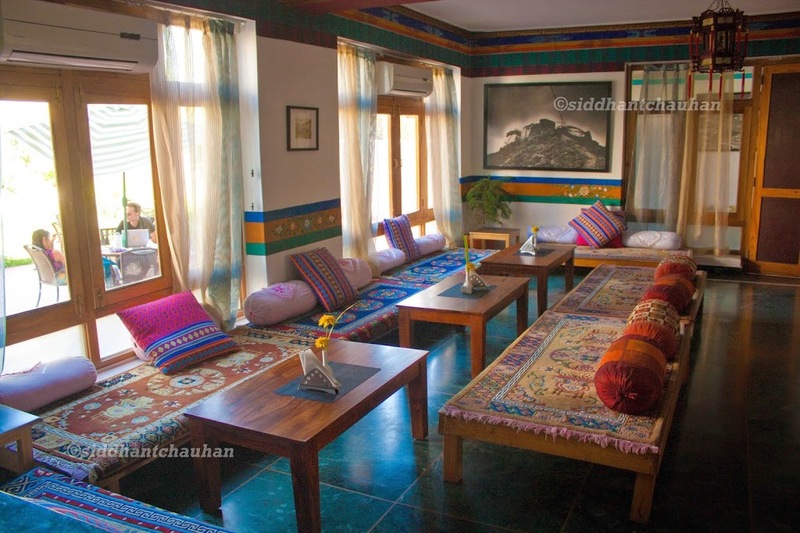 They also have a small library next to the reception and offer paid access to wi-fi at a very nominal price of only INR 20 (valid for 24hrs). 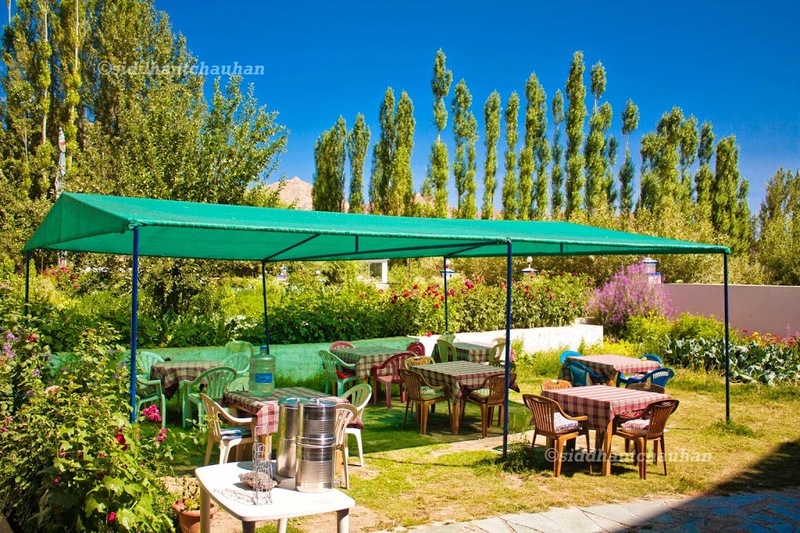 The location is extremely peaceful, staff very warm and helpful and our friends have always preferred to stay here on their previous 5 trips to Leh. The hotel also runs additional service, Oriental Treks and Tours, offering several tour trekking packages as well as custom treks, to places of scenic, cultural and natural beauty. They take care of permits and paperwork as well. Oriental Hotel is located 2 kms from the airport and roughly takes 10 mins on wheel. A 10-15 min walk will lead you to the market and give you access to café’s, restaurants, utility shops, travel agents, vehicle rentals etc. We ventured into the market late evening to explore the place and also figure out a few travel agents to organise our travel for the next few days. After a relaxed dinner around bon-fire, we retired to bed for the day. A lovely practical post on travelling to this region. I would suggest no as of now! 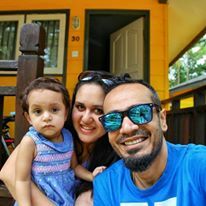 I have seen my nephew suffering a lot duting his trip to Leh due to change of oxygen level at different locations especially at higher altitudes. I would suggest you wait till she is 4-5. I have been trying to plan my trip to leh since 2 years. But after reading your informative post on the same, it’s time to pack my bags. Wow!!! Makes me plan my next trip to Leh! I barely go on trips but your write up makes me feel like I just visited Leh. Awesome blog!!! Thanks Prisha! Its a must visit! What beautiful pictures. Your post conquers the spirit of leh. 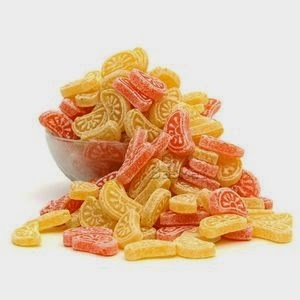 And the candies…yum! Wow we are planning a trip to ladakh next year this is gonna be very useful and i love buying local stuff and eating local food!!!! am glad you found this post useful Richa! If you plan well in advance you can actually save alot on the flight tickets too! Very very informative for someone like me who is clueless about Leg but would want to go! A great post! Excellent compilation of handy tips! will share it with others for everyone’s benefit!